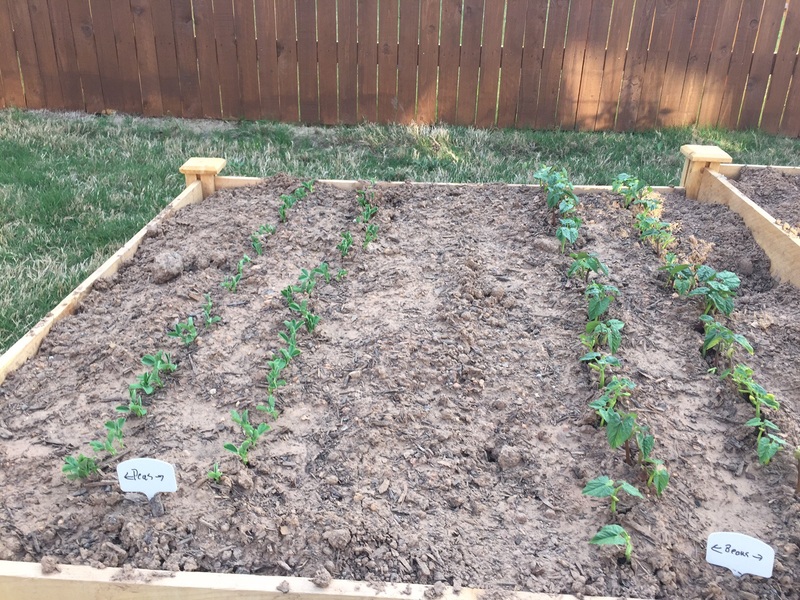 A dirt level view of my beans. I’ve always loved taking photos of the flowers and vegetables I grow, even though I usually just use the camera on my iPhone or iPad. The quality is usually pretty good, and every once in a while I take one that really tickles my fancy (does that make me sound old?). It’s been awhile since I’ve had that feeling, but today was the day. I was taking photos of the peas and beans (photo below), marveling at how much more they grew since yesterday, when I couldn’t believe how much they had grown from the previous day. “They’re really getting tall,” I mused out loud, putting my iPhone down on the wooden portion of the bed next to the beans to get an idea of how tall they actually were. Then it hit me, that would make a sweet picture – at eye level with the beans. So I snapped the photo posted at the top of this post. I imagine it’s what ants or spiders would see – that is if there were any ants or spiders! The beans must look like giant trees to them! The peas and beans tonight, March 31. 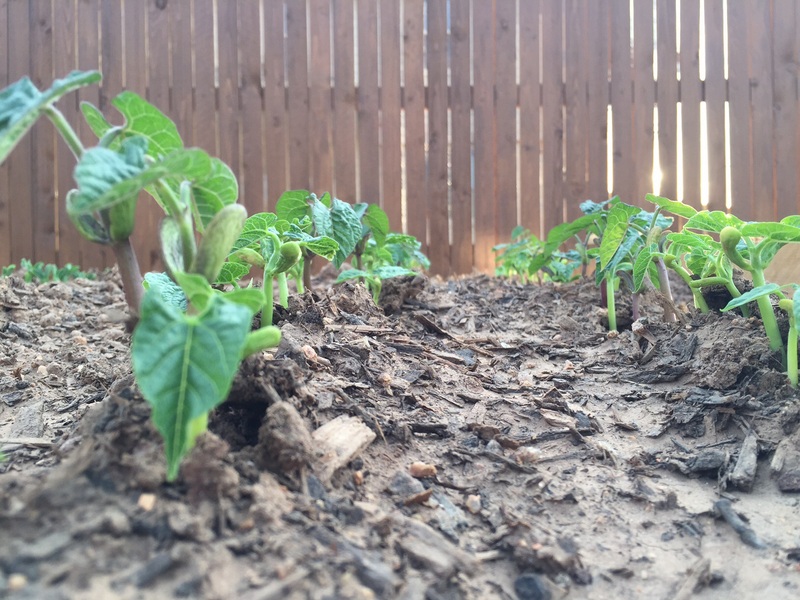 This entry was posted in Gardening and tagged beans, photos on March 31, 2015 by Julie Riebe. This is a delightful shot of the beans growing. It’s always cool to get down to their level.